John Olsen's Bohemian art school, The Bakery Art School, was a uniquely exciting arts institution that deserves to be better known. Established in an old bakery building in Sydney's Paddington in 1967, the school ran until 1970. In this book about Olsen and the school, Juliet Sch... read full description below. John Olsen's Bohemian art school, The Bakery Art School, was a uniquely exciting arts institution that deserves to be better known. Established in an old bakery building in Sydney's Paddington in 1967, the school ran until 1970. 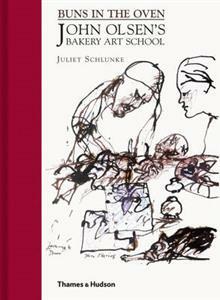 In this book about Olsen and the school, Juliet Schlunke, a former student, eloquently captures the mood of the late hippy era in Sydney and the influence of John Olsen on a generation of young artists. Olsen's teaching methods are discussed, as well as his life-drawing classes and his preparation of lunches for students and visitors including William Drysdale, Bill Rose, Fred Williams, Janet Dawson, Rudy Komon, Peter Upward, Clif Pugh, Robert Walker and Ann Thomson. 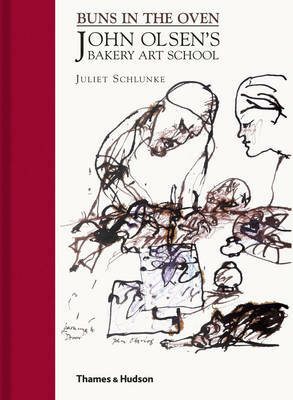 Juliet Schlunke is an artist, author and gallery director who resides in the South of France. She was a student at The Bakery Art School.